Congratulations to "Dawn B. ", the winner in Lara's giveaway. Thank you to all who participated! One of the things that makes writing so fun is that I get to 'travel' to all sorts of places without ever leaving my chair. I always enjoy doing research for my books, and in this case, I had a lot of fun learning about the research stations set up on Antarctica. I'm a Texas girl, so I'm pretty much allergic to snow. The idea of spending time on the frozen continent of Antarctica was enough to make me put on a sweater, but I admire the men and women who work there for weeks or months at a time. The conditions are harsh, to be sure, but there are a surprising amount of creature comforts on the bases as well--everything from movie nights, yoga classes, and even a bar. But no matter how routine things can seem, there's no escaping the fact that Antarctica is a pretty isolated place. It was the perfect location for my fictional disease outbreak. Throw in two former lovers, a cunning villain, and a terrorist scheme with international implications, and you have the makings of a scary adventure that will keep you on the edge of your seat! I'm giving away an autographed copy of Dr. Do or Die to one lucky commenter (US only)! Tell me, would you want to visit Antarctica, or do you prefer warmer spots? P.S. 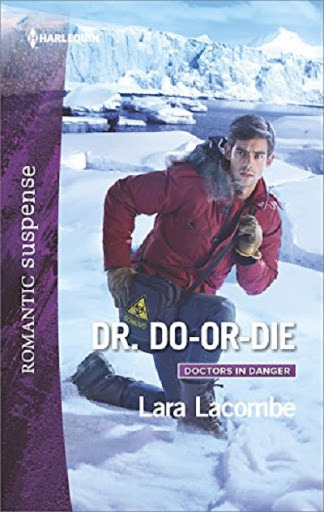 Don't miss the first installment of my Doctors in Danger miniseries--Enticed by the Operative. It's out now, but the books can be read in any order. Giveaway ends 11:59pm EST Jan. 16th. Please supply your email in the post. You may use spaces or full text for security. (ex. jsmith at gmail dot com) If you do not wish to supply your email, or have trouble posting, please email maureen@justromanticsuspense.com with a subject title of JRS GIVEAWAY to be entered in the current giveaway. That is not one place I ever thought of visiting, LOL. No, the cold makes my arthritis bother me really bad. Warm weather, not hot, for me all the way.